Fashion experts agree, every jewelry wardrobe should have at least one statement piece. Here it is! 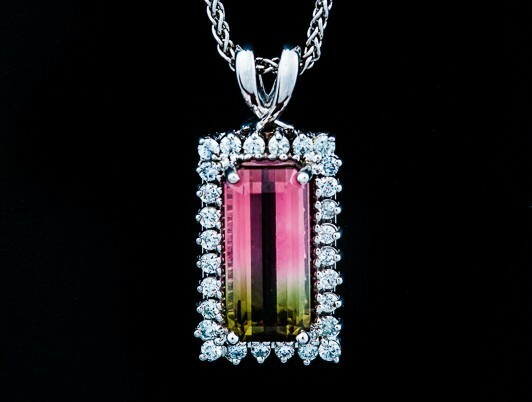 This 6.67 ct bi color tourmaline is surrounded by .60 ctw diamonds. From every angle, it says “WOW!” Designed and set by hand here at Daniel Jewelers.